What are Custom Printed Sticky Notes? Sticky Notes allow you to personalise your corporate gift. Every page is an advertisement for your company and your brands. 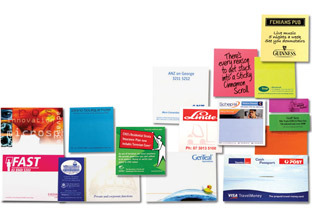 Orders from as little as 200 Sticky Note pads can be produced. Our in-house design service is here to develop on your ideas.